For a membership site or online course which relies on recurring monthly subscription income, there are a number of potential factors which can lead to a loss of customers and, subsequently, a loss in monthly revenue. A study conducted a couple of years ago indicated that when a website owner charges for premium content (membership content or an online course) on a recurring monthly basis, those customers remained paying members of the site for two months on average. This is the primary reason that we’ve seen a major shift happening among our WP Courseware online course creators in the way that they bill for their premium courses. When we first launched the plugin in 2012, monthly membership models were by far the most popular method of charging customers for premium content. However, over the last couple of years we’ve seen a significant increase in the number of users who charge a one-time, upfront fee for their course content. After all, it takes a LOT of work to produce all of the content for a course and it makes sense that a course creator would prefer to be paid $497 upfront rather than charging $47 a month and having a customer cancel after two months. That’s a reduction in average customer lifetime value of $403! Now, that being said, some online membership or course business models absolutely should be run as a monthly subscription. We see this very often with our user base. Perhaps a membership site owner or online course creator offers new content continually throughout the year as opposed to publishing one batch of evergreen content. For example, we have a number of WP Courseware users who teach strategies for day trading or the trading of equities or commodities. The information related to these strategies of trading changes almost daily. To be successful, you need to educate yourself on what’s happening every month of the year during which you’re participating in the markets. 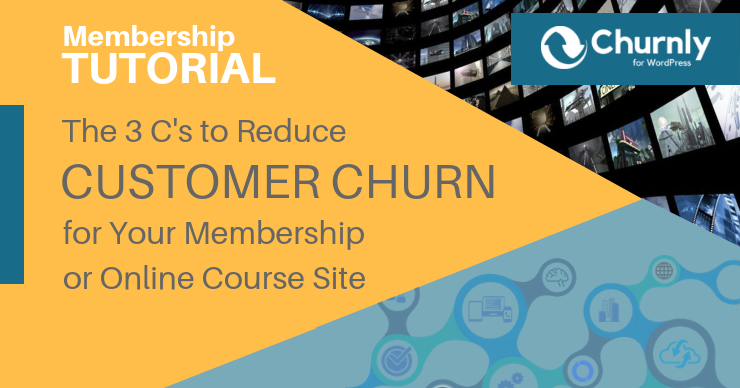 Involuntary churn is a preventable loss of paying subscription customers which occurs when an otherwise happy customer is lost due to an expired or declined credit card transaction. A paying member of a premium membership site or course could be truly finding value from your content, however, when their payment method expires and they’re busy updating 25 other different online services with a new card, well, that’s when they’ll likely start evaluating what they really need and what they don’t. You want to stay off of the “don’t need” list. And that’s what this article will help you with. On average, credit and debit cards are issued with an expiration date three (3) years into the future, or 36 months. That means that around 2.8% of all credit cards which are being used to pay for premium content on a membership or online course site will expire EVERY month. Over the course of a year, that leads to a 33.6% decrease in sales. And this doesn’t even take into account cards which are cancelled for other reasons such as being lost or stolen. This means that without any new customer onboarding through proactive marketing methods, within three years a membership or subscription site would have how many customers? There are a number of proactive steps which a membership site or online course owner can take to help keep this number of “accidentally” lost customers to a minimum. This may sound intuitive, however, the single most important way to prevent paying users from giving up on your membership site or subscription-based course is to offer content which they simply don’t want to stop consuming. As I mentioned with the example related to trading strategies, there are certain types of information which are absolutely critical to continuing to carry out a task or occupation effectively. But, there are many other examples of this. This could include things like staying up-to-date on tax code for a CPA, remaining abreast of legal changes for attorneys, or even keeping people informed of what’s going on within the vast landscape of a new industry such as cryptocurrencies. If you are the “go-to source” for information within a specific niche and you produce content which is truly helpful and actionable for your customers, they will stay with you as long as they continue to be involved with that niche. And that average is FAR longer than two months! Create high-quality content which truly solves a burning pain point which is more important for your customers to solve than not to solve and, well, you’ve printed yourself a golden ticket! We see this situation time and time again with our WP Courseware users. They create a course which addresses a particular, once again, burning paint point. Things start off great. Customers find them, get excited to have a solution, and dive into the content vowing to change some part of their lives or learn a new skill. After the customer has consumed all of the membership or course content, there is either no new content to check out or if there is they aren’t informed that it’s been made available. So when the time comes for a customer to, in some way (such as updating a payment method), take an action to continue the subscription or membership they simply assume that they’ve already received all of the value you have to offer. It works the same way with our WordPress plugin development company. If we develop dozens of new features or upgrade our support system but none of our customers hear from us about those changes through email newsletters or blog posts, what do you think would happen when it’s time to renew their license? 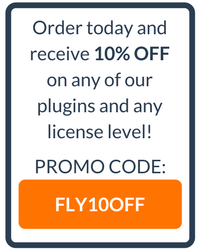 Our WordPress plugin business operates on a model which charges an annual fee for updates and support. After all, it’s incredibly expensive to hire development and support talent to maintain our products, but an annual licensing model is common for software-related solutions. However, remember that number which I offered earlier which stated that a recurring revenue site will experience a 33.6% payment failure rate over the course of a year? Yep…over the course of 12 months we get to experience that, too! Upcoming credit card expiration dates. If you’re running a recurring subscription membership site or online course, you’re very likely using a payment gateway which knows the expiration date of the payment method your member or student used to sign up. This means that if you have good content which your customer values and that you let them know that you have no plans of slowing down on delivering said value, that you also don’t need to be afraid to ask them to update their payment method out of fear that they may cancel if you do so. Early last year, we recognized this problem within our own business. We were around two years into shifting to an annually renewing licensing model so that we could ensure that our customers received the feature updates and support they were requesting. This is when we made the decision to develop a new plugin called Churnly. As with all of our other WordPress plugins, it was born from a need to solve our own business challenges. We needed a way to reduce the number of customers who showed up to log into our member/user portal one day and simply couldn’t get what they needed because of failing recurring payment methods. If you are using WooCommerce or Easy Digital Downloads (which we use) to process recurring payments, Churnly will allow you to proactively contact a customer when their renewal is approaching and it’s going to be processed with a payment method which will expire prior to that renewal. It has been a very effective tool within our business and our lead developer, Cory, was the genius who spent dozens of hours working on code and APIs to get the plugin put together. However, even if you’re not using Easy Digital Downloads or WooCommerce to process subscription payments and simply installing the Churnly WordPress plugin is not an option, there are other options available and I would highly encourage you to find a solution which implements with your membership or recurring subscription online course site. There are solutions such as Rebilly which, while far more expensive for the average site owner, can integrate with a number of systems as well. If you’re running a membership or subscription-based site and not proactively addressing involuntary churn, you’re quite simply leaving money on the table. And this means you’ll need to spend more marketing dollars to simply acquire customers to make up for the ones you’re losing which you already have.